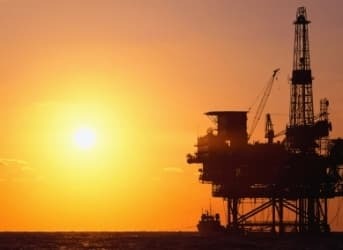 The oil markets are concerned that there is too much oil currently available on the market, and that, as a consequence, oil prices may continue to tumble. Saudi Arabia is reportedly telling Reuters that it is happy with prices that may fall as low as $80 a barrel. As I mentioned the other day, some of this has to do with market share, and the KSA increasing production, and thereby seeking to weaken the likelihood of investment in other places, in turn ensuring their share holds up, not just now, but also down the road. The effect on gas prices has been rapid, with prices in parts of Missouri down to $2.65 a gallon – about a dollar less than I was paying only a week ago. The effect will also have the benefit of a boost to the economy, which of course can’t hurt in the run-up to an election. But in the longer term it is hard to see how this boost can be sustained for more than a year. In the last post on this I mentioned that, outside of the US, Russia and KSA global oil production had dropped around 3 mbd over the past couple of years. Yet increased production (KSA raised production by 100 kbd in September as part of a total 400 kbd increase from OPEC overall) has, for now, been able to match and surpass this in order to meet the global demand. OPEC continues to expect that demand will increase by a million barrels a day this year and 1.19 mbd next. They further expect that the increased production to meet this will be met from outside the cartel, with the gain declining from 1.68 mbd this year, to 1.24 mbd next year, holding OPEC production to a decline of 300 kbd from the current 29.5 mbd. Simplistically the gains are maximized in increased production from the United States (880 kbd); Canada (250 kbd) and Brazil (190 kbd). They are anticipating a slight drop in Russian production, as part of an overall decline of 80 kbd for the FSU countries. Part of the problem in projecting the balance revolves around estimating the production from Libya, Iraq and Iran (LII). Libya has reported raising production back to around 800 kbd, but some of that comes from the Shahara field, which was still involved in factional fighting, even as it came back on line at some 20% of normal. The three countries produce around 7 mbd (Iran 3 mbd, Iraq 3.2 mbd; Libya .8 mbd) so that the fluctuations in their production and sales can have a very significant impact on the global oil market, and the prices that are paid – but they function within OPEC, and it may be that the current drops in price are reminder that the big dog in that trailer is KSA, currently running at around 9.7 mbd. It is foolish to try and predict, over the immediate short-term, how the fighting in Libya and Iraq will progress. Similarly it is hard to see how relations with Iran will change, potentially easing sanctions and allowing them to sell more product into the global market would upset the current balance in trade, and could, in the short-term, increase the glut and lower prices. But supplies from those outside the cartel and the Americas are continuing to decline. That is not going to change. The rates may fluctuate a little (though the current drop in prices is not going to encourage large scale investment in declining fields) but the overall trend is steadily downward. And it is within that picture that potential changes in the production from the three LII countries have to be placed. Yet, as the fields have brought oil back to the market, there is a concurrent fall in global prices, as the EIA note. Pre-conflict Libya was producing over 1.6 mbd, it recovered to 1.4 and is now struggling at around 0.8 mbd. But the prospects for the levels of peace required to sustain even that level do not seem promising. The conflict is worsening and seen as spiraling out of control. Moving East to Iraq, despite the use of air power, the situation in the North is not improving, although the Kurds have now a pipeline to carry oil up into Turkey that is not controlled by the Islamic State. While it is still a matter of debate how much oil they will be able to sell, they hope that, by the end of next year they may be able to pump as much as 1 mbd, up from the initial 0.1 mbd when the pipeline went on line. At the same time, in the South, the oil fields lie some distance from the conflict, and there seems little threat, at the moment, to the plans to increase production, and move the majority of the oil to the coast for export. It is, therefore possible to foresee an increase in Iraqi production of perhaps a million barrels a day in the next couple of years. Is it likely? It is hard to say. Factional fighting is always hard to predict, and the willingness of those involved to use explosives makes it even more of a problem to predict what will occur, given the vulnerability of pipelines to attack. Predicting how Iran will change is similarly conflicted, in that it is hard to predict the behavior of those who control the country, and in turn impact oil exports. But putting this within the context of OPEC, I suspect that overall production will not fall much outside of the current volumes that the MOMR are predicting – which is sensibly overall stable output over the next year or so. And if that is the case, then I would, as mentioned last time, expect to see that the global surplus of oil supply over demand will gradually disappear over the next year, with the impact becoming evident once we reach the summer of 2016. It would be nice to be wrong, but I think it unlikely. Is the Oil Price Slide Nearing an End? We have all been wrong before, and we will be again. Ask yourself if you predicted the current glut? If not, any predictions you have about future shortages are in doubt.